Character education is best taught through models. But one look at the headlines of any newspaper should reveal that we, as adults, are failing to provide those models for children. Perhaps picture books can better serve this purpose. But rather than focus upon just one of the Six Pillars of Character®, let's focus upon the intended result: Peace. Through picture books we can Make Peace with Ourselves, Make Peace with Each Other, and Make Peace with the World. When Mr. Rabbit discovers that the Otters will be his new neighbors, he exclaims, "I don't know anything about otters. What if we don't get along?" That alone is a fabulous conversation starter for students, who are likely to offer many ways that the two animals might disagree, and agree. 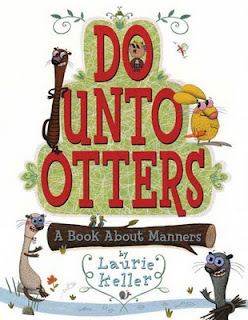 Mr. Owl shares an old saying: "Do unto Otters as you would have otters do unto you." This, in turn, leads Mr. Rabbit to wonder, "How would I like otters to treat me?" He decides he would like otters to be friendly, and polite, and honest, and so on, but more importantly, he describes what those words mean to him, and provides many examples. So while Do Unto Otters: A Book About Manners at first glance seems to be about manners, it's actually about becoming the kind of person you would like others to be. What's surprising and refreshing is that it doesn't come off as preachy, and Laurie Keller's illustrations are simply hilarious. Extension: Using the traits provided in the book, help students create a "Looks Like, Sounds Like" T-chart for each. We all know that Honesty is important, but what does that look like? How can we see it being practiced? And what does it sound like? More than anything else, Jeremy wants "those shoes," those cool black ones with the two white stripes. They're in every ad, and everyone has them! Everyone, it seems, but Jeremy. His grandmother tells him that "There's no room for 'want' around here - just 'need.' And what you need are new boots for winter." Through a series of events, Jeremy discovers that Grandma is right: a new best friend, a loving family, and a pair of warm boots are all that he needs, and all that he wants. Extension: After reading Those Shoes, show students some ads from magazines, or even some popular commercials which have been posted online. Are these advertisements appealing to our needs, or our wants? If you're looking for an in-depth lesson plan on this topic, check out a previous post on Media Messages (featuring some great links) and another on Dollars and Sense (financial literacy for students). Life on the farm is quiet, with only an occasional visitor stopping to buy tomatoes or corn, or perhaps a quart of milk. All of that changes when a crate falls from a passing truck, and a peacock finds itself down on the farm. Confused by his new surroundings, the peacock does what comes naturally: he spreads his feathers and begins shrieking. Folks passing by stop to admire this marvel, and of course they purchase all the tomatoes, corn, and milk. Soon business is booming and everyone is happy! Everyone, that is, but the chickens. "We do all the work around here." they complain. I'd like to see that peacock lay one single egg... That peacock gets all the attention and we do all the work!" Dismayed by the hens' comments, the peacock mopes around for days, until the old dog finally suggests a solution. "Why not let the peacock stay here to be useful while you hens take the glamorous job down by the road?" 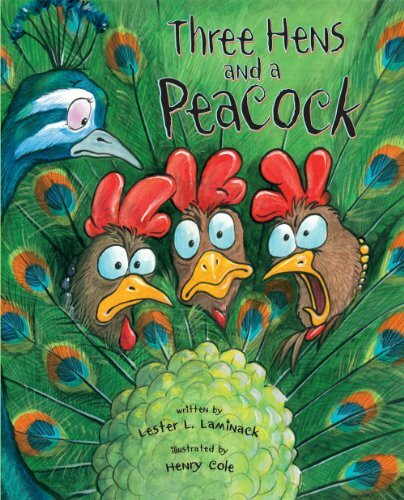 Henry Cole's hilarious illustrations of the fat chickens dressed in their finery, and the equally plump peacock attempting to squeeze into the hen house, help the reader to instantly realize that neither party is playing to its strengths. Neither the chickens nor the peacock find satisfaction in their new roles, and all are happy to return to the previous arrangement. All's well that ends well, right? Maybe. But what's in that new crate that just fell from the passing truck? Extension: Students will love predicting what might be in the box which falls off the truck at book's end. (The large egg pictured in the book's inside back cover might give us a hint). Students may also enjoy writing their own versions of a role-reversal tale with its funny implications. Settings might include a farm, zoo, or circus. Miss Fox has had it with all the arguing in her class. "That does it!" she exclaims. "We're having Peace Week." When her students ask her what that is, she puts the question back in their laps: "It's your Peace Week. You design it." What a wonderful prompt! I think we'd all agree that students often know what it means to be polite and peaceful, but putting those abstract notions into concrete actions is where the problem lies. Her students succeed in doing it, and the good feelings and the positive interactions carry over into the words and actions of all with whom they come into contact. Extension: A natural extension is to create a Peace Week! 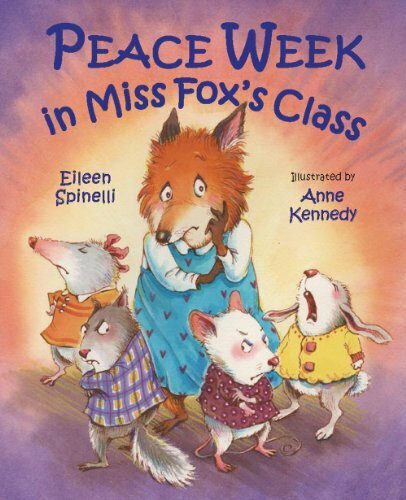 You'll certainly find ideas in Peace Week in Miss Fox's Class, but additionally you may want to share books about peace (some suggestions appear here!) and perhaps study great peace makers (winners of the Nobel Peace Prize might be a good place to start; see Wangari's Trees of Peace below). The week could even culminate with a "Mirthday Party," celebrating what was accomplished. This oldie but goodie is especially popular with older students who can sympathize with sibling squabbles! In this autobiographical tale, Patricia laments that she'll be in the same school as her "rotten redheaded older brother." After Richie and his friends make fun of her dancing, Patricia challenges him to attend her ballet school and perform in the recital. 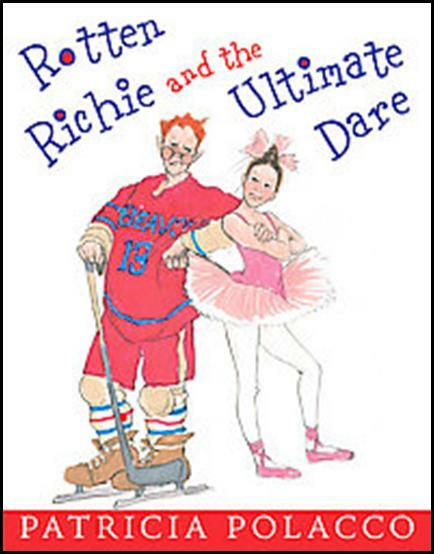 Richie counters the challenge with one of his own: his sister must practice with the ice hockey team and play in a game. 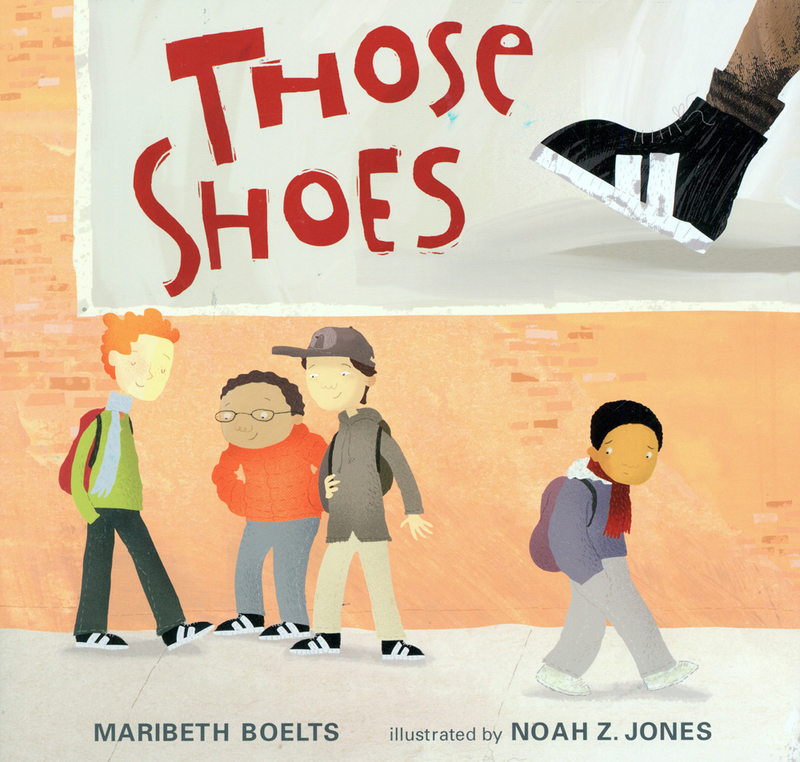 Students love cheering on the siblings, and they're always surprised to learn that the story is based on a real-life event from the author's life. Extension: How does putting ourselves in "another person's shoes" help us to better understand them? Have students create a story where two characters come to appreciate each other's differences through a reversal in roles. 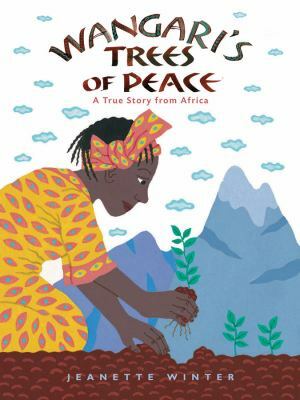 Wangari's Trees of Peace: A True Story from Africa tells the true story of how Nobel Peace Prize winner Wangari Maathai revived her native Kenya by encouraging the planting of over thirty million trees. Although almost cliche, the phrase "Think globally, act locally," could never be so true. Extension: You might also consider sharing Mama Miti: Wangari Maathai and the Trees of Kenya , written by written by Donna Jo Napoli and illustrated by Kadir Nelson. 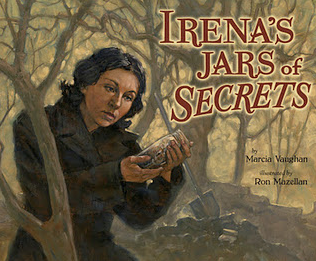 How is the same story interpreted by two different writers and illustrators? Which sentence from each book is most powerful? Do those sentences express the same thought? Which illustrations help you to best visualize Wangari Maathai? Which pictures help you to best visualize the land of Kenya? Why might it be important to use multiple resources when researching a topic? Extension: Ask students what could be done beautify their own world. Consider taking on a simple project to make the classroom or school more beautiful. "I have a lion's mane and I am different, just like you. Do you know who I am? The lion and its mane are special in many cultures around the world. Join my flowing red dastaar on a journey to find out why I have a long mane." A daastar is another term for turban; often worn by young Sikh males and in another style by young Sikh females. Beneath this daastar, Sikh males wear a long "mane" of hair. 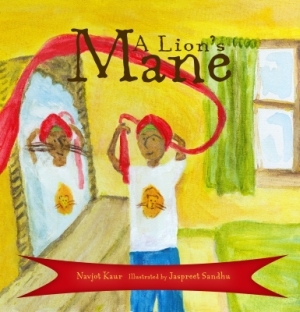 Taking the metaphor of a lion's mane, author Navjot Kaur transports readers to many diverse cultures the world over, whose esteem for the virtues of the lion (strength, respect, courage, loyalty, patience, wisdom) unites them, regardless of their other differences. Illustrator Jaspreet Sandhu enforces the metaphor of the mane by unfurling the bright red sash across every page, providing a bold contrast to the the lion's virtues which are printed clearly upon it. Additionally, a glossary and pronunciation guide assist the teacher in further discussion of the book's topics. A wonderful title for children struggling with tolerance and acceptance of cultures which seem very different from their own. Extension: A simple way to discuss cultural symbolism is through the study of national flags. What do the colors, shapes, and symbols of each flag represent? Students are excited to learn that their flag shares common traits with those of their classmates. Paulie Pastrami can't whistle, he has trouble matching his socks, and he is usually picked last in sports. But he plans to achieve world peace before he turns eight. After all he's accomplished a lot in his lifetime: he ate an entire pizza in one sitting, he beat a tiger in a race (actually, it was a kitty named Tiger), and he was even kissed by a girl (Aunt Margie). "But achieving world peace was his greatest accomplishment to date." 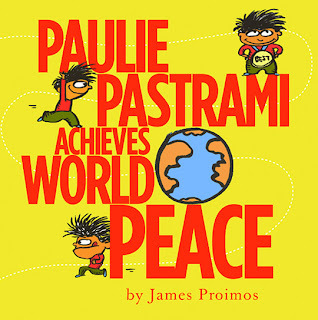 Paulie begins with being kind to plants and animals, and his efforts soon turn to humankind. His actions have an impact on his classmates and then his entire school. Eager to do more, Paulie convinces his father that a world tour is in order! Armed with a trailer full of cupcakes (which can often settle a dispute when nothing else can), Paulie and Dad tour the world, or at least their small part of it (Furniture World, Tire World, Sports World, Toy World, World of Magic and finally Mattress World). 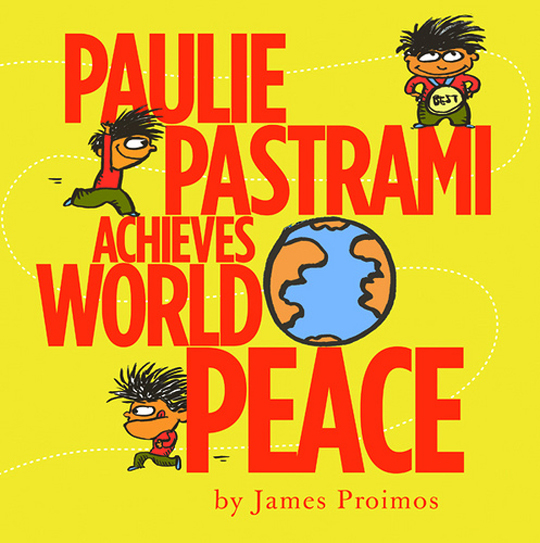 Upon returning home, Paulie Pastrami's father announces, "Now entering your home: Paulie Pastrami, the boy who just achieved world peace!" Exhausted but satisfied with his efforts, Paulie goes to sleep, peacefully. James Proimos' bold and bright pictures and minimal text per page will make this a popular independent book for younger readers. Extension: Paulie's success relies upon cause and effect. After discussing this with students, ask them what small act they could carry out which might have a positive effect upon a single person, who might, in turn, do a kind act for another. Encourage students to ask themselves, "What Would Paulie Do?" and write about and illustrate one kind act they could commit that might lead to world peace. What Does Peace Feel Like gathers the wisdom of numerous children who tell us what peace smells like, looks like, sounds like, tastes like, and feels like. Each spread is devoted to one of the senses, with the thoughts of five to seven children per page. Extension: This simple book relies upon bright images and similes and metaphors to share its message. Students can easily use figurative language to create their own interpretations of what peace looks like, smells like, etc. and illustrate those same thoughts with watercolor paintings. A nice activity for kicking off or culminating your very own Peace Week. 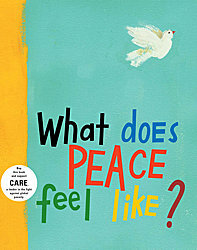 Have your own favorite book on peacemaking, or an activity you've successfully used in your class or school? Please share it in a comment below! For more on ideas on making peace, check out Josephson Institute's Six Pillars of Character®. Great post! I love your blog. As an Early Childhood School librarian, teachers are always looking for great books to teach character traits and manners and such. I will definitely pass this on to my staff as a great resource! What a great list of titles. I'm adding this to the very long list I keep of those I need to share with my kids. Thank you for sharing! I think this blog is great, this is a good choice of books. Its great to see books that promote good character traits for children! I find that peace and justice are so intertwined, I've included books that foster social justice, too. Love the activities you've suggested as extensions, Keith. You've really honed in on a range of creative and thinking skills that help kids get even more out of these wonderful picture books! I just had to say i love the cover of Three Hens and a Peacock, definitely going to look at picking that one up for the kids! Great ideas! I teach a third grade religion and values class. Your suggestions were wonderful! Thank you!